Ratatouille came out in the summer of 2007, right before I entered the 9th grade. It was the year my second-oldest sister graduated high school, leaving me alone at our school. I finally was able to break free from being yet another sister from our clan of 3 girls. This gave me the incredible urge to grow up: wear make-up, buy heels, watch PG-13 movies and, if I could sneak them past my mom, R-Rated ones. 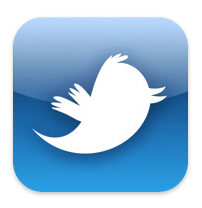 (This happened close to never.) When my mom and grandma wanted to go see Ratatouille, I thought it seemed too young but reluctantly went to the theater. Sitting in the chair, I was transported back like Anton Ego is to a fun, carefree time of being a kid. The movie was the perfect mix of fun for kids and worthwhile plot line for adults. Even though I would have hated to admit it at the time, it quickly became one of my favorite comfort movies. 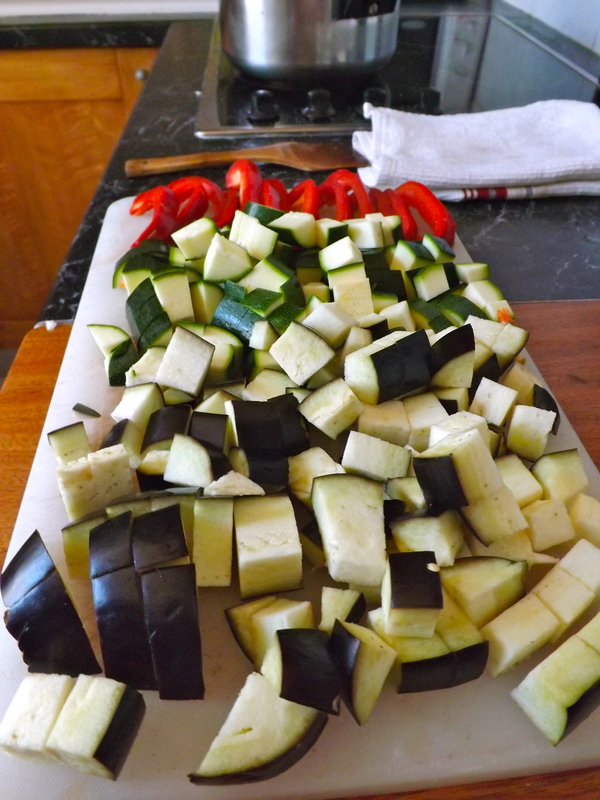 It has remained that way in my family; my mom now makes her ratatouille in the same fanned-out shape as in the movie. Yesterday was another night dedicated to fending for myself after my sister didn’t have time to show me the ropes. 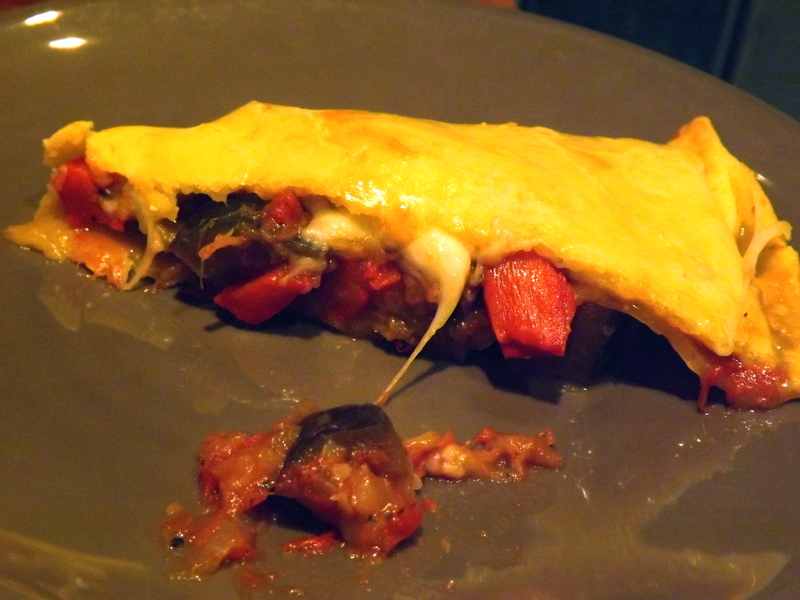 But again, I managed to pull through and made a chausson (turnover) à la ratatouille with mozzarella. I’m finally starting to feel like a grown-up with a life I’ve made for myself here in Paris, and all I can think about is wishing I could go back to the days where my mom paid for my movie ticket to Ratatouille and I knew what the next 5 years of my life had in store for me. 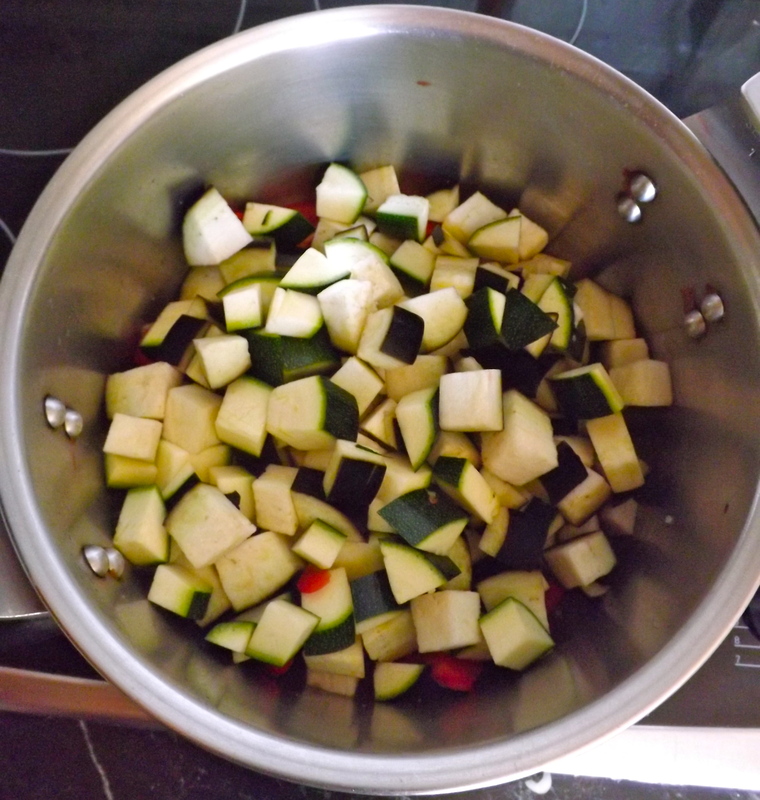 Luckily I had some ratatouille, an instant comfort food, to ease my woes. 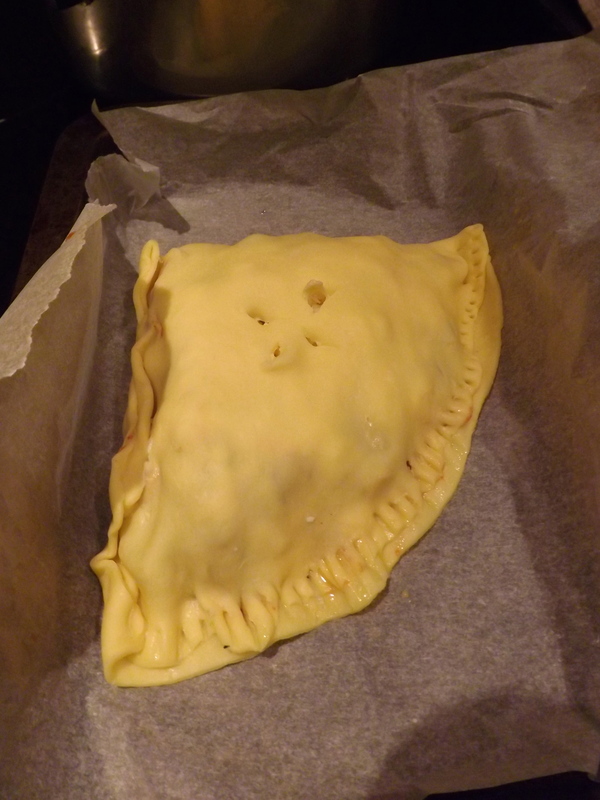 I followed my sister’s recipe here, but made some changes to make it a bit less of a liquid (you don’t want it seeping through that beautiful pastry crust!). 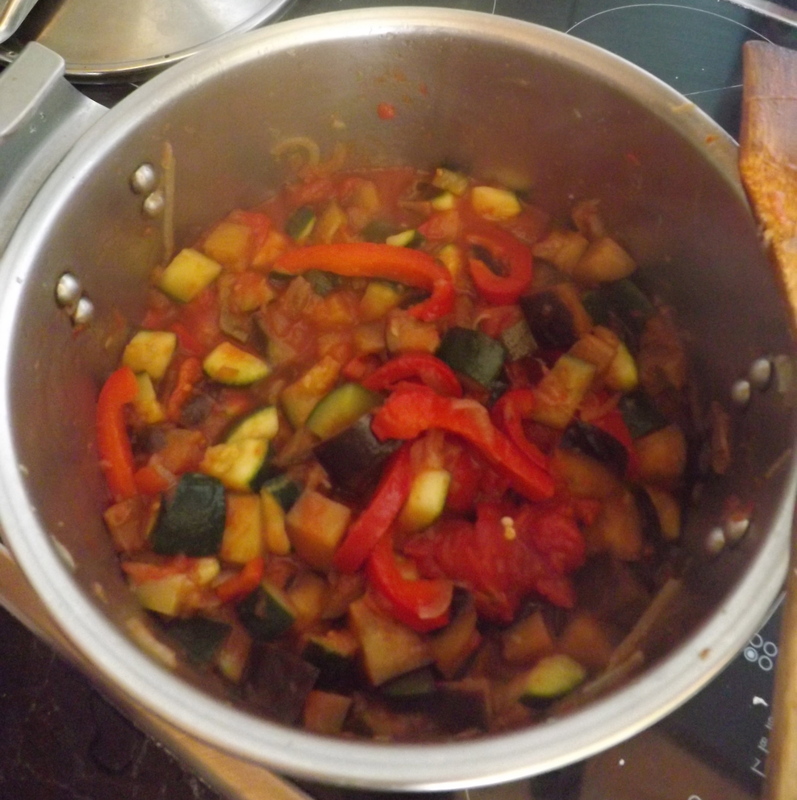 Ratatouille is basically a matter of chopping of the vegetables, adding the tomatoes, and letting them stew for a while. Then adding some herbs. 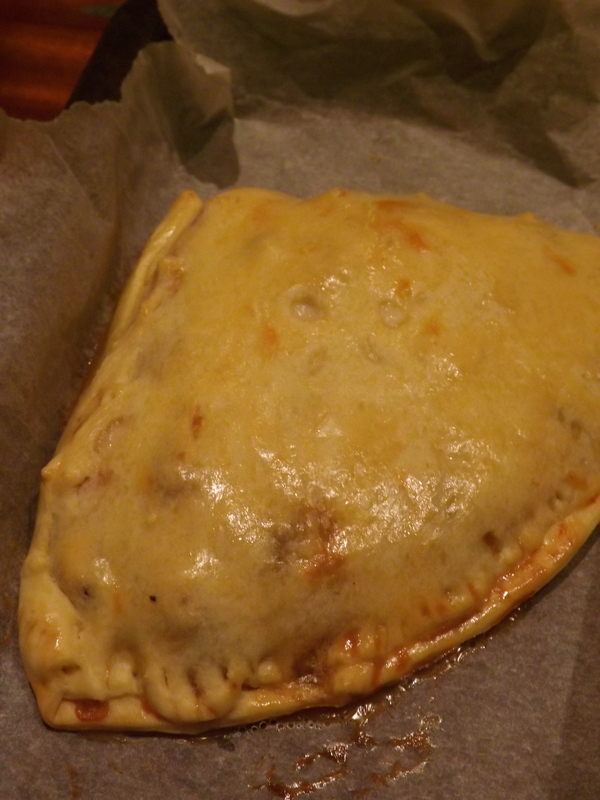 I used 1/2 of the puff pastry which was enough for 2-3 people to have some chausson. 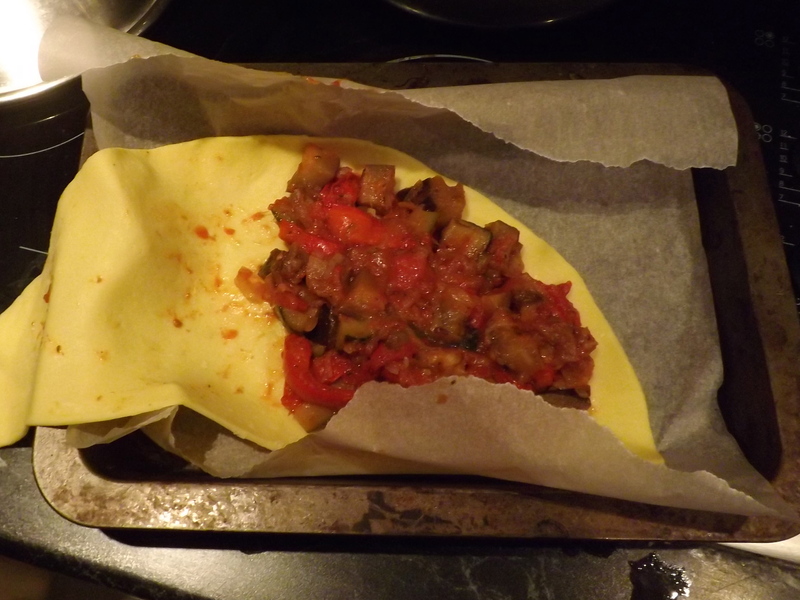 Pile in some of the ratatouille mix, sprinkle on some mozzarella, and close all of the sides by either pinching them, rolling them, making indents with your fork, whatever you fancy. Add the egg wash and bake at 350°F or 180°C for about 25-30 minutes, or until golden brown. 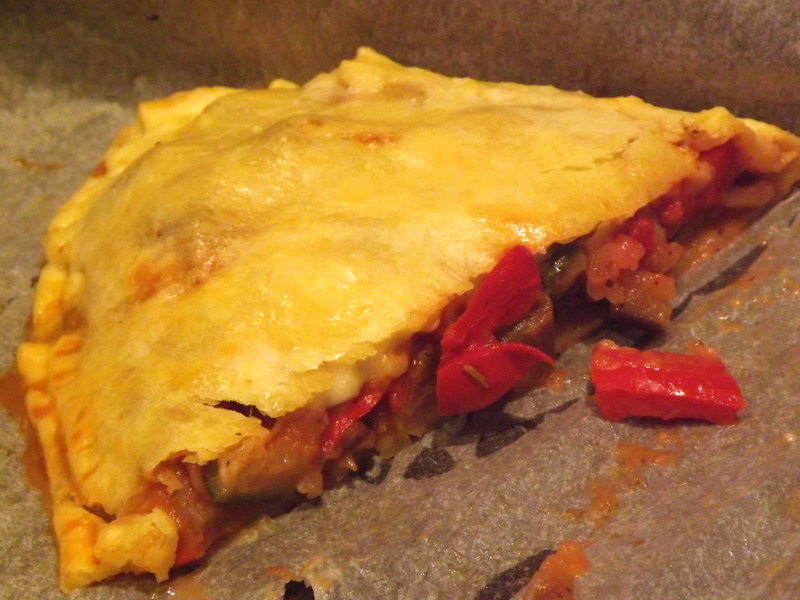 I did this in our toaster oven, a larger over might vary in time. Transport yourself back to being a kid, and enjoy!